Everbloom releases next week, on Tuesday, April 25th, but the pre-order option is available now. 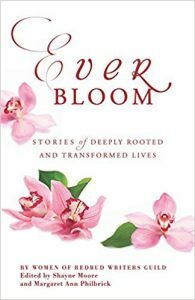 Come back to The Dreamer Speaks this Friday, April 21st, for information on how you can enter to win your own copy of Everbloom. (Winners will be announced on the 25th.) I also have a piece included in Everbloom, so I hope you’ll pick up a copy sooner rather than later! ← Finding an Audience is Complicated, So I’m Sharing Mine!